Gone are the days when a poncho is just a poncho. 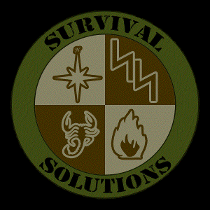 Survival Solutions Innovative Gear has done it again with an innovation to a time tested piece of gear. 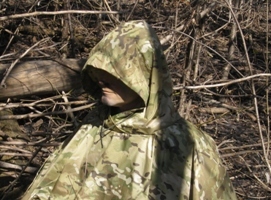 Now you can cover your body as well as your rucksack and quickly construct a shelter big enough to keep the elements off of you, your equipment and some firewood too! MADE IN U.S.A. 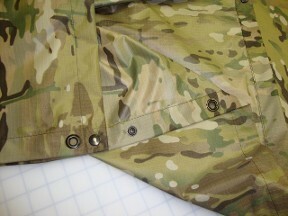 It's constructed of 70 Denier Coated Ripstop Nylon in Multicam,from Crye Industries. The O.P.S.E.C. is tough and light, weighing in at only a pound*. When outstretched, it measures 104" long by 59" wide! (That's over 42 1/2 sq. feet of shelter!) When not in use, the O.P.S.E.C. packs down small so there's no excuse to leave it behind. The O.P.S.E.C. poncho was specifically designed to fit in a cargo pocket. That way it could be carried on your person (base layer) in the event it was needed and when the main pack has to stay behind (...anything can happen). It had to be light weight, stout in construction and waterproof (webbing and buckle not included). The O.P.S.E.C. 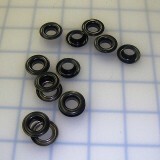 has (7) 15mm ring snaps and (8) 3/8" grommets just perfect to accommodate para-cord. 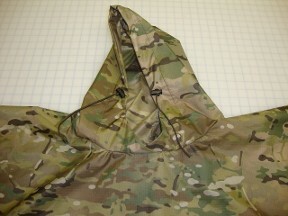 The hood uses 36" of para-cord (due to it's versatility) as a drawstring and 2 cord-locks. Size 46 mil-spec nylon bonded thread combined with quality manufacturing results in gear you can depend on. For those who have actually packed in the rain, this will be a welcome design. The O.P.S.E.C. 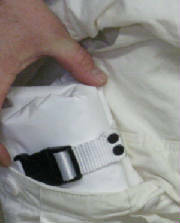 is constructed so the back is adjustable. When wearing a rucksack/backpack, the back of the poncho can be unsnapped and extend an additional 14" keeping you dry all the way around. If you decide not to wear a back pack, you can shorten the back of the O.P.S.E.C. with the snaps provided to a length consistent with the front. But the real fun is just beginning! Though the O.P.S.E.C. 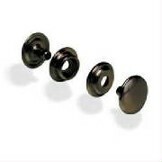 has grommets to aid in shelter construction, the factor that sets the O.P.S.E.C. apart from all other ponchos is it's independence from reliance on cordage for shelter construction. Simply snap the back side of the poncho around a horizontal log and stake the front end down. You've got a bivy in minutes with no cordage whatsoever! The only way it gets easier than that is if you've got someone else doing your work for you. When you have to cover a lot of ground, you need to move quickly or weight is otherwise a factor, less is more! When you've got O.P.S.E.C., you're covered! Fluctuations in weight can occur due to back coating from the the manufacturers, variations in width of the raw fabric bolts and even slight variations in hardware.